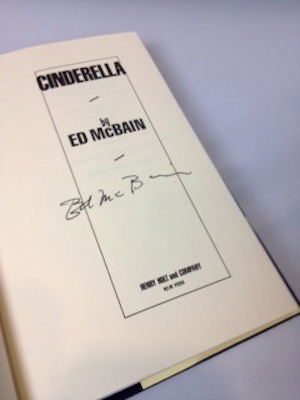 This First Edition is personally signed by Ed McBain on the title page. In good condition, only shows slight wear and cover stains from being shelved. Protected in mylar. A chilling addition to the Matthew Hope series from Ed McBain, Cinderella is the tale of a woman known by many names and the men who will do anything to find her.